Higgins & Carter LLC is a group mental health practice that provides therapeutic services to college students, adults, couples, families, and groups in Chicago and the surrounding suburbs. The professionals at Higgins & Carter LLC consist of a multi-disciplinary team with expertise in numerous areas of practice. We accept most insurance and we submit your insurance claims for you. We have a dedicated billing coordinator who will take care of the process for you and can answer any questions. We are conveniently located with a variety of available hours Monday – Saturday. We have the ability to get you in quick. No waiting around. Our therapists are warm, empathetic, and qualified. There is someone here for you! We work together to provide you with the best service possible. We have providers with a wide range of specialties, we offer group therapy and we have a psychiatrist on site. Our mission is to provide effective, collaborative and cost-effective psychotherapy to the Chicago community. We work hard to provide a warm and inviting environment that allows for individuals who come through our doors to work on their own personal development and growth. Higgins & Carter LLC is located in the historical Monadnock Building on the corner of Jackson Boulevard and Dearborn Street. 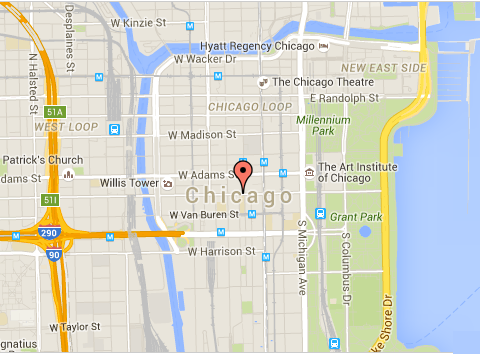 We are conveniently accessible by the blue, red, purple and green lines and minutes away from Union Station. There is also metered parking available on the street and multiple parking garages in the area.